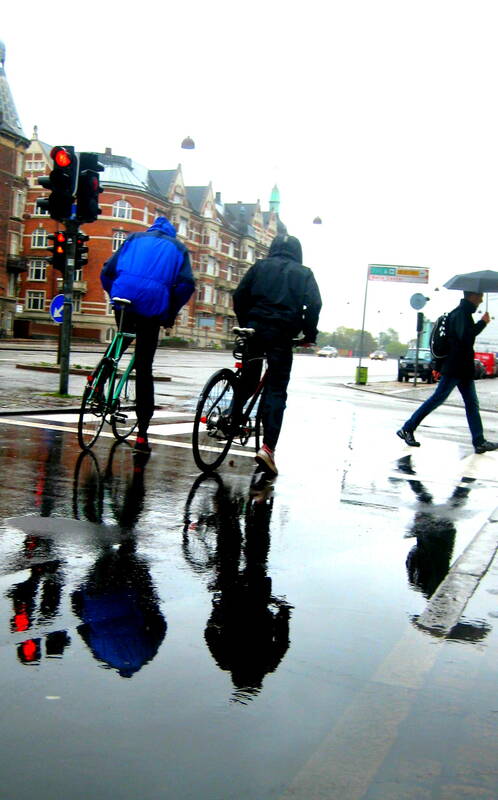 Every day circa 36% of Copenhagen’s population commute to work or school by bike – the city government aiming to get this to 50% by 2015 to (further) reduce its greenhouse gas emissions from daily transport. Already today, roughly 50% of Copenhageners use bicycles on a daily basis for errands or exercise – equating to over 500,000 people, in one of the world’s wealthiest cities. Like Amsterdam, the cycling lifestyle in Copenhagen is at the heart of its identity. The city has excellent bike paths, bike parking, bike stop lights, safety rules and signage & a culture well-attuned to the bicycle way of life – including a wide range of cyclists, from children, to grandmothers, to businessmen & an interesting assortment of bicycles to choose from. In Copenhagen & Amsterdam, cyclists outnumber car drivers, in particular during rush hour, dominating the city’s central streets. While I haven’t quite braved taking my camera out to film Amsterdam’s rush hour commute (although I plan to), I wanted to pass along an excellent video, produced by Copenhagenize & promoted by blogger Mikael Colville-Andersen of Copehagen Cycle Chic. It depicts Copenhagen’s rush hour – of course by the bicycle. I feel there is so much vital information for me here. And i’m satisfied studying your article. honestly like your technique of blogging. I saved it to my bookmark website list and will be checking back soon. ~Great! Happy to help if you are looking for ideas!